I am totally on a Thanksgiving kick and making an allergy-friendly side dish is on the menu this year. 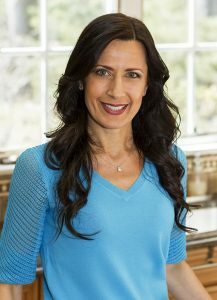 I transformed this classic holiday staple into a gluten-free, dairy free, and egg free delight that is sure to be a hit for the festivities! 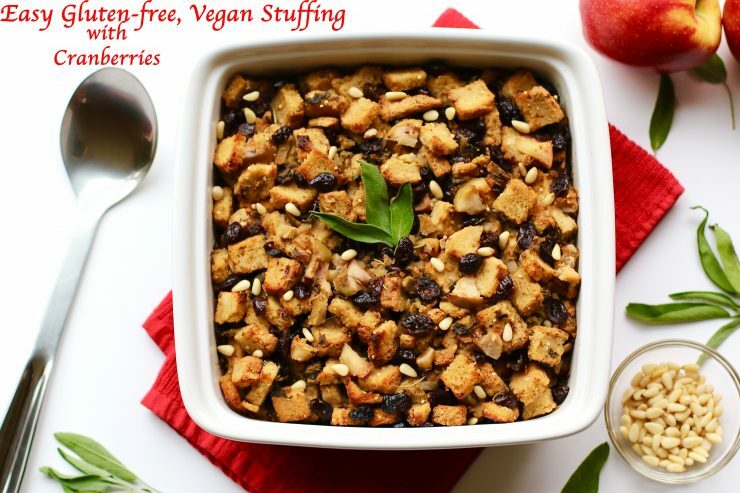 Stuffing is a traditional dish that I did not dare to tamper with since it is “fam” favorite. For years, my little guys would watch at the table as everyone went up for seconds. 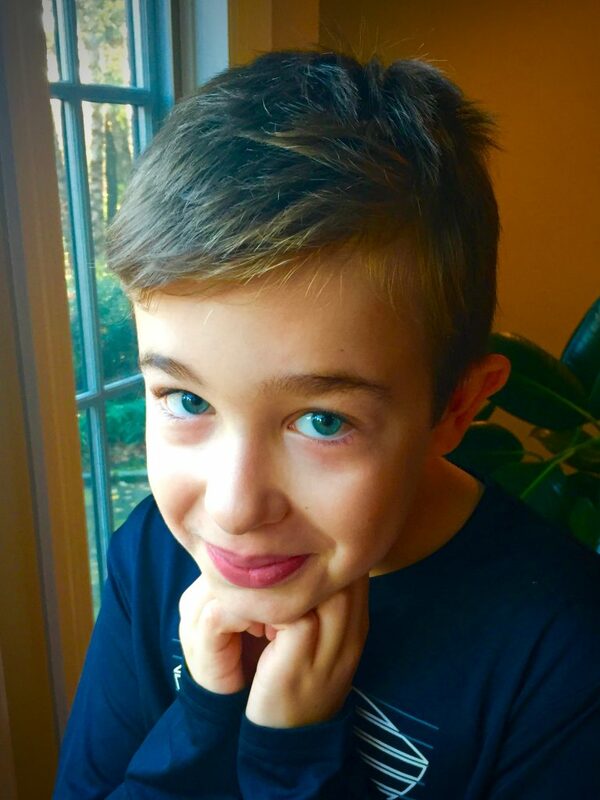 How can I look into Kid 1’s big blue eyes and tell him once again you can’t have the stuffing?! I was determined to make this conventional dish allergy-friendly so all my boys can feel included at the table. 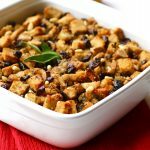 I began researching and figuring out what exactly goes into a classic stuffing recipe. How can I transform this unhealthy dish yet still keep the hearty flavour associated with this well-known recipe? After a quick conversation with the “Cooking Guru”… my mom, I realized this wouldn’t be as difficult as I thought. 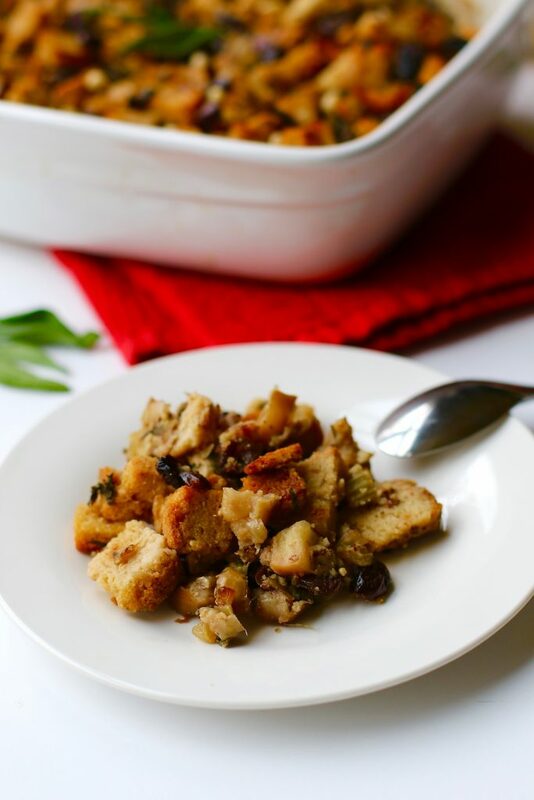 You see stuffing is one of those dishes you can add anything your taste buds desire. It is a matter of keeping the texture and consistency… how should I put it… not too mushy and not too hard. Substituting regular bread with a v/gf option, using flax meal for the egg, and eliminating butter, the dish surprisingly came out pretty similar to my mom’s original recipe. Mission accomplished and with just a few substitutions, my little army was jumping with joy because it was their first time eating stuffing. The reward was seeing the big smiles on their faces and hearing the “mmm” all moms long to hear when their kids are eating a healthy, home-cooked meal. 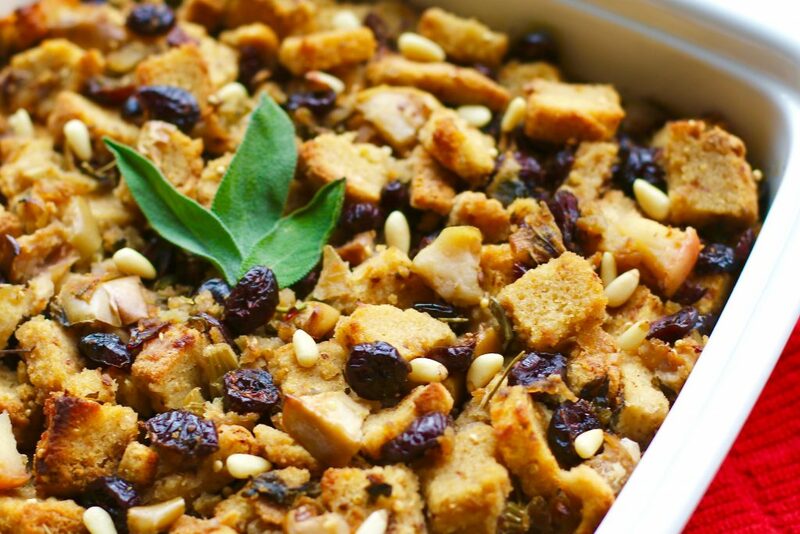 Looking for a tasty Thanksgiving stuffing that is sure to wow your guests. The flavour combination of this dish is fantastic and no one will guess it is gluten-free, dairy free, and egg free. To dry out the bread use a serrated knife, cut the bread into 1/2-inch cubes. Arrange the cubes in a single layer on a baking pan. Bake the cubes at 350 degrees for 10 to 15 minutes or until golden, stirring once or twice. Let cool. Can be done the night before. In a large skillet sauté onions, garlic, and celery in olive oil over medium heat until fragrant. Add apples and continue sautéing for about 10 more minutes. 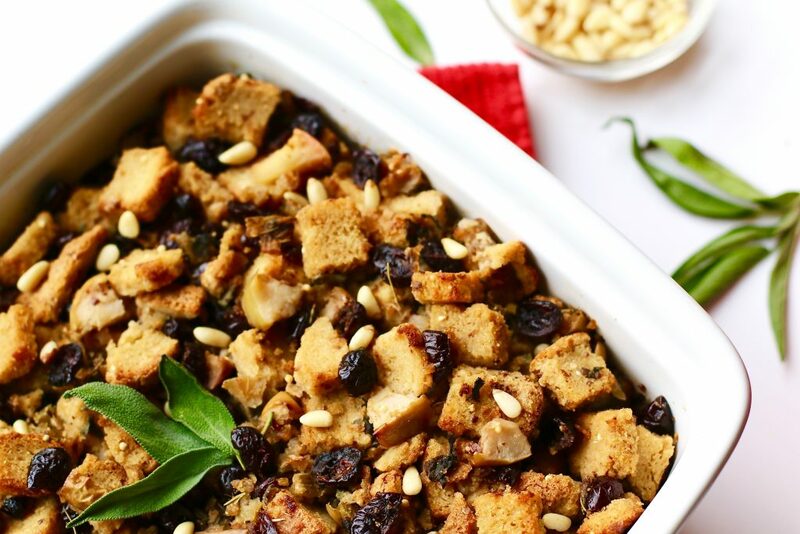 Sprinkle a generous amount of salt and pepper to taste and then add the cranberries, pine nuts, sage, rosemary, parsley and vegetable broth to the mixture. Cook for about 5 - 10 minutes. 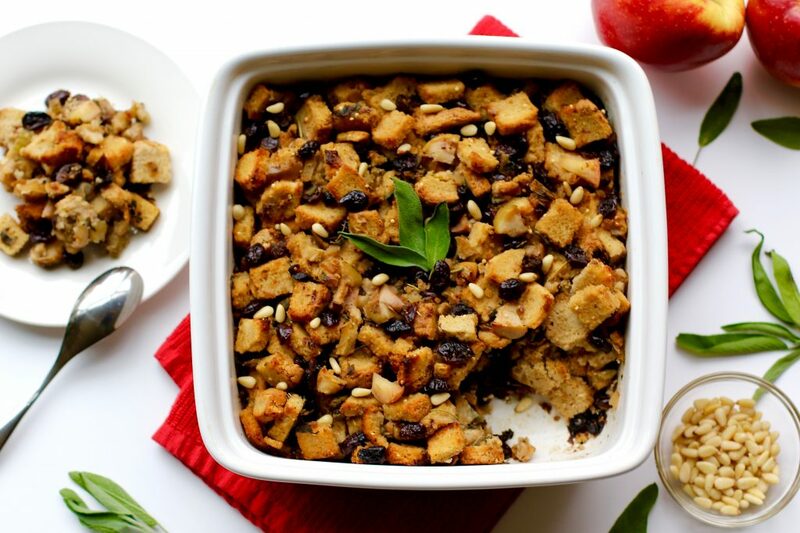 In a 9 x 9 casserole dish combine all the ingredients including the flax egg to the bread cubes and toss. If you do not have a lid, cover the dish with parchment paper and then aluminum. Place the casserole in the oven for 45 minutes. To brown the top layer remove the parchment paper and aluminum and continue cooking for 15 more minutes or until the top is crispy. 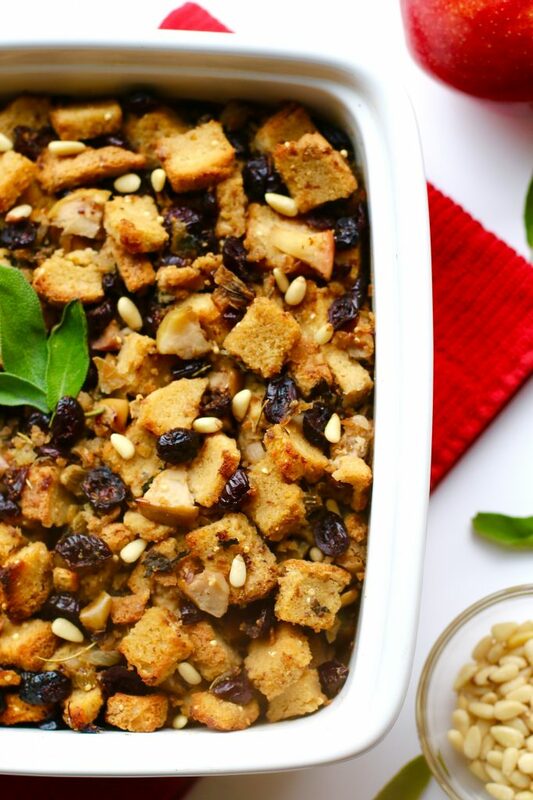 How do you like your stuffing? I’m going to try this for thanksgiving. In general when you use flax for egg sub, do you always use 1tbs flax to 2 tbs of water? I am so happy to hear you will try it! When I make my flax egg I usually use that measurement. Let me know how it turns out!